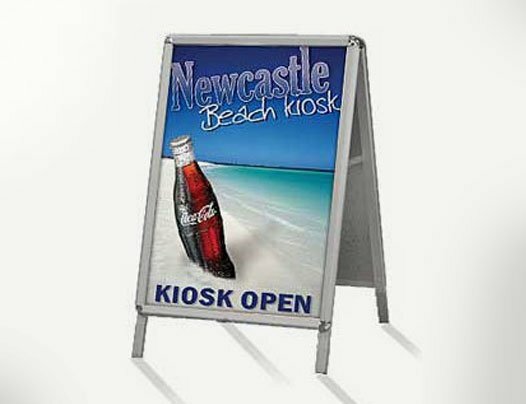 Aluminum Snap A-frames are Tenji’s most popular A-frame when using posters to advertise. With a textured clear PVC panel to protect and make your print last longer. 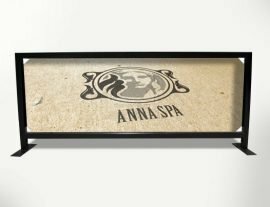 Made from Aluminum frame with poster snap attachments on each side to hold your posters in place. 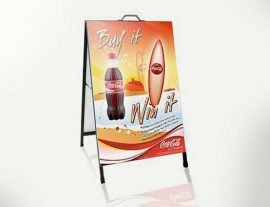 A-frames or sign boards as they are commonly known as are a versatile way of advertising out the front of your shop on the sidewalk or in your shopping centre space. Durable and light enough for one person to carry and place. Attract new clients or show off your new products or specials to passers by.